We’re calling it “Nick Minaj Paris Fashion Week” because the media made it seem as if the pop queen was the only celeb out there, or maybe we all can’t stop talking about that outrageous outfit Nicki recently wore, which bares her left breast. 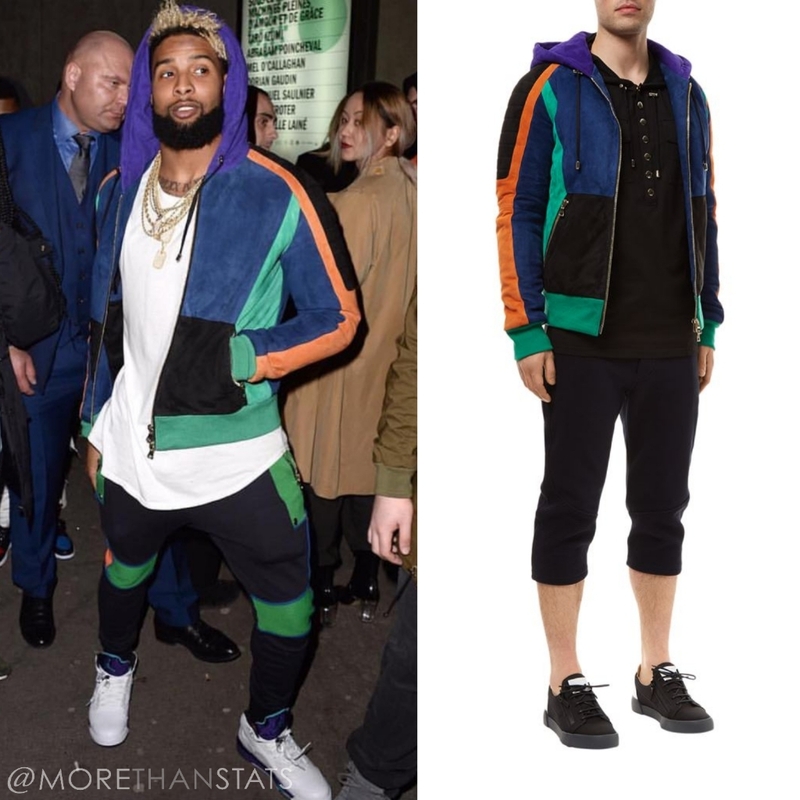 Odell looked very lively leaving a runway show dressed in a colorful sweatsuit ensemble by Balmain. 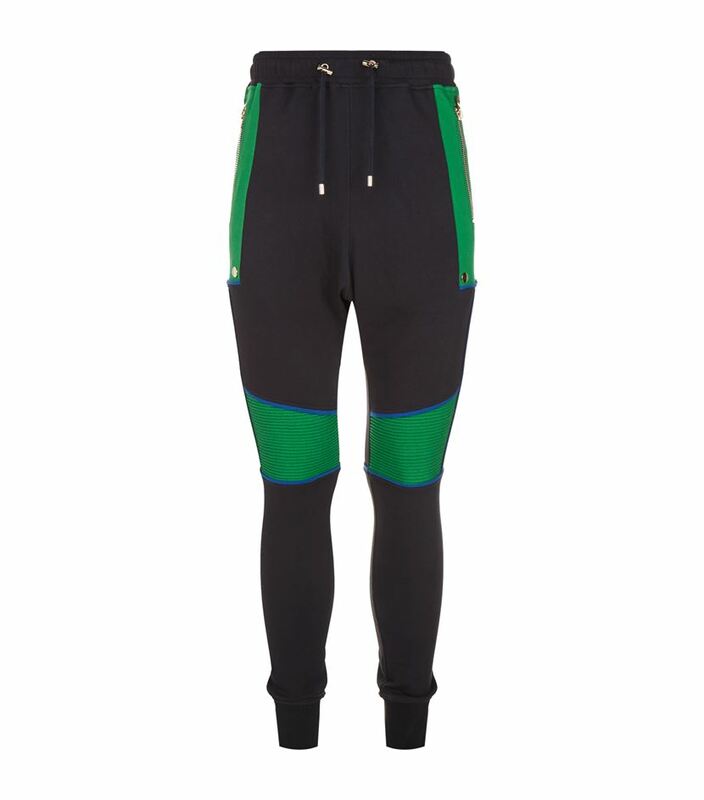 Odell wore Balmain color block puffer, jacket and Balmain color block joggers. The star receiver completed his athleisure look with a pair of Air Jordan 5 “Grape” sneakers. When you have the chance to take your eyes off of Nicki’s outfit, let us know your thoughts on Odell’s. 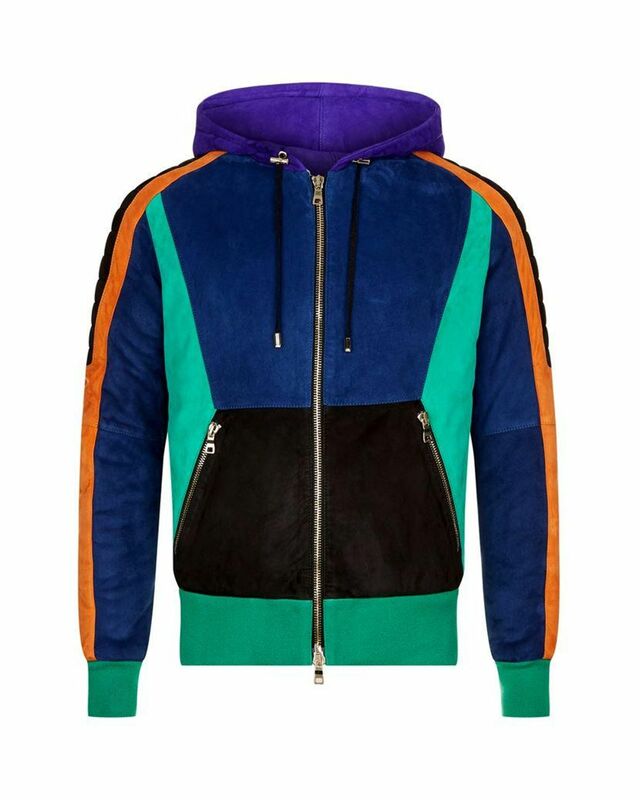 $3,153 Balmain Color Block Puffer Jacket.